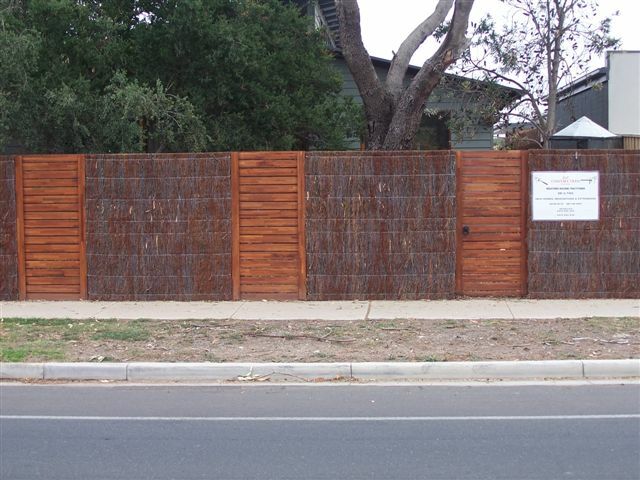 Belmont Fencing in Geelong is experienced in the building and installation of brush fences and brush fencing. 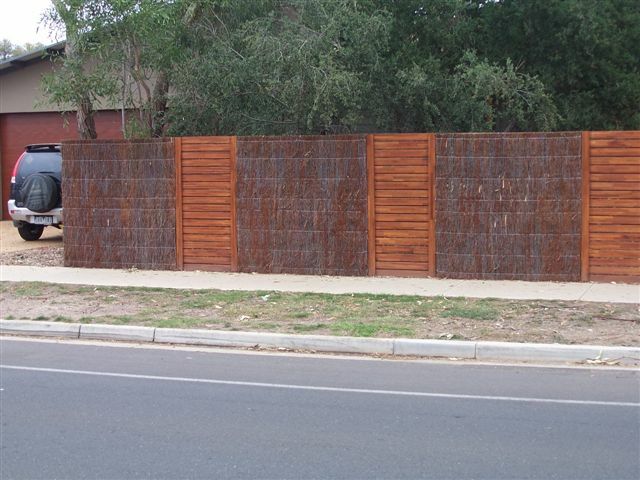 Brush fencing is a natural alternative to fencing that adds a touch of style to your property while being affordable and providing a solid, durable panel that absorbs unwanted traffic and neighbourhood noises. 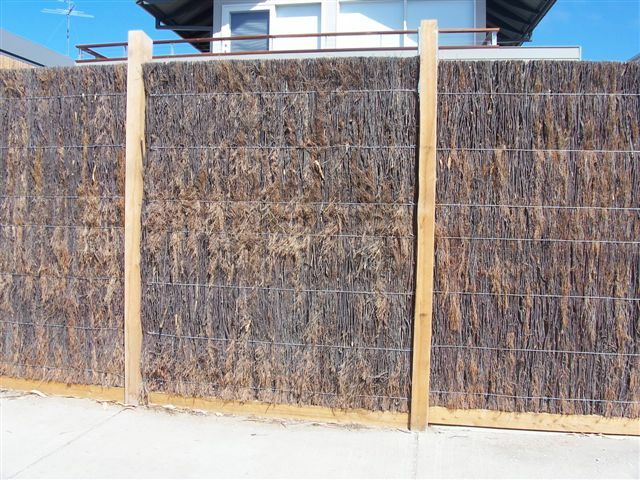 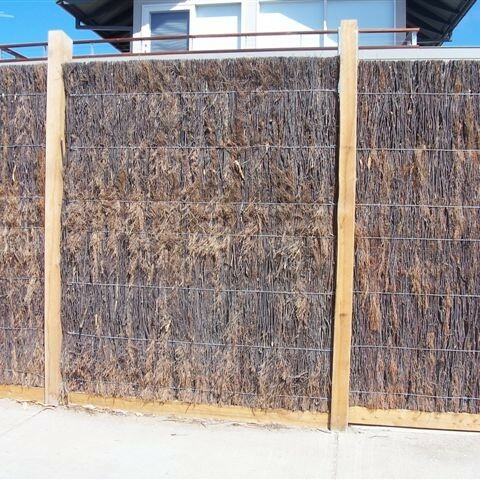 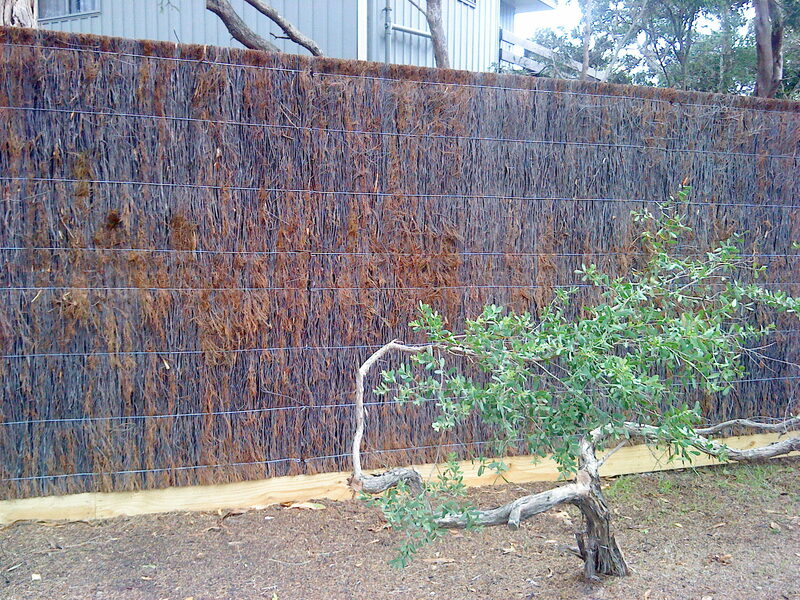 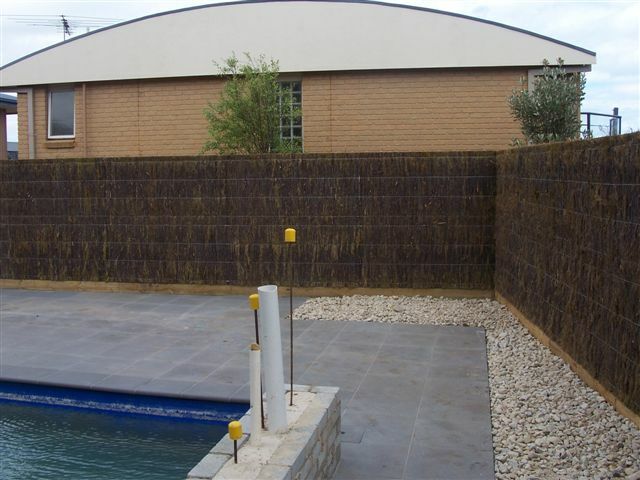 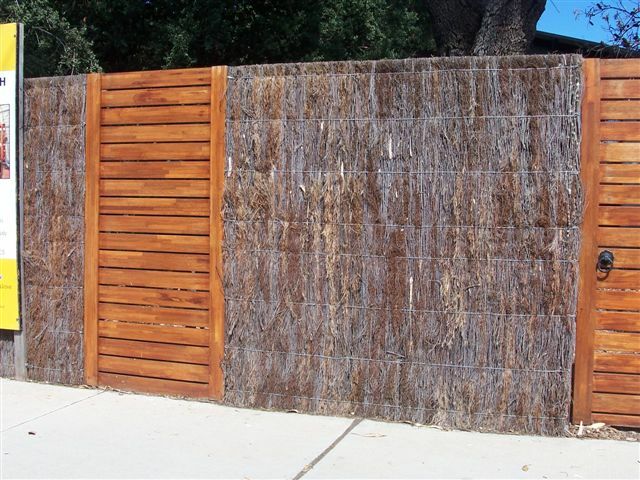 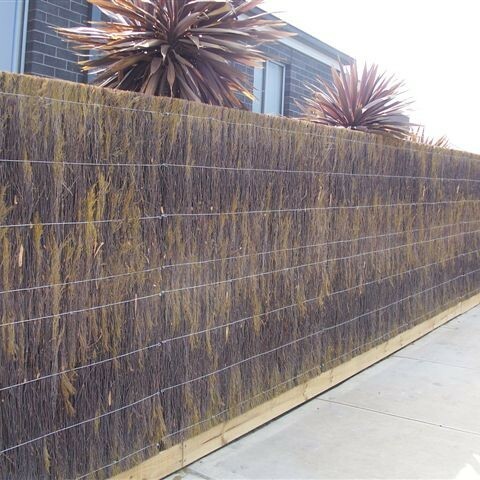 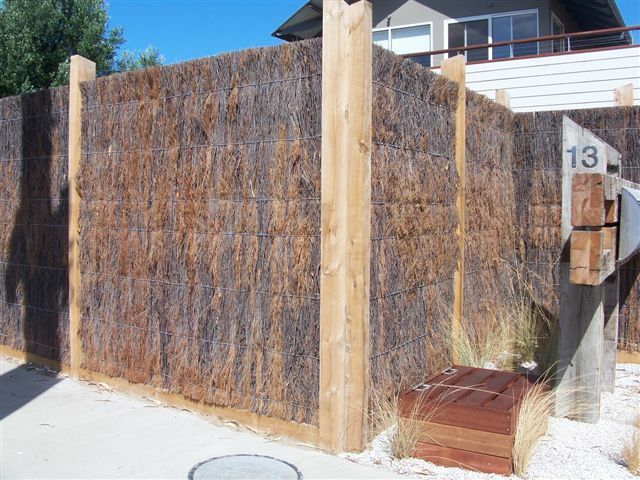 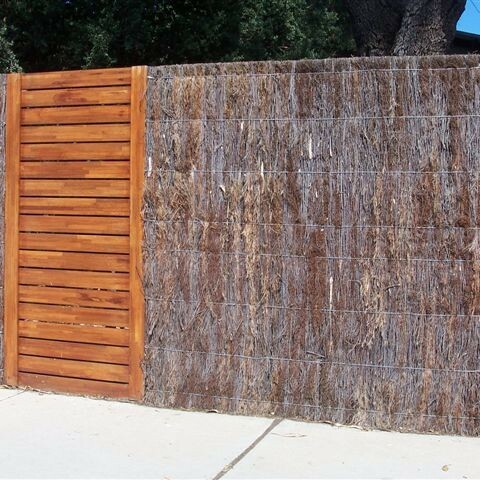 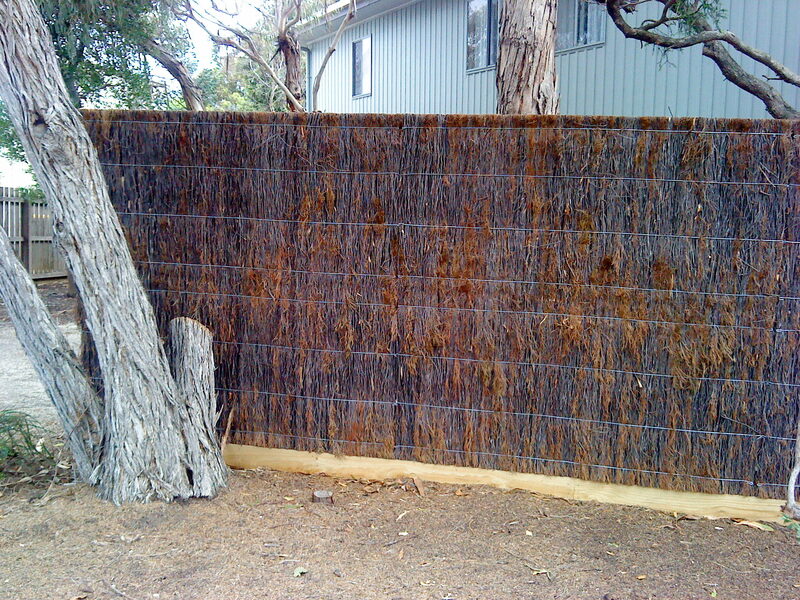 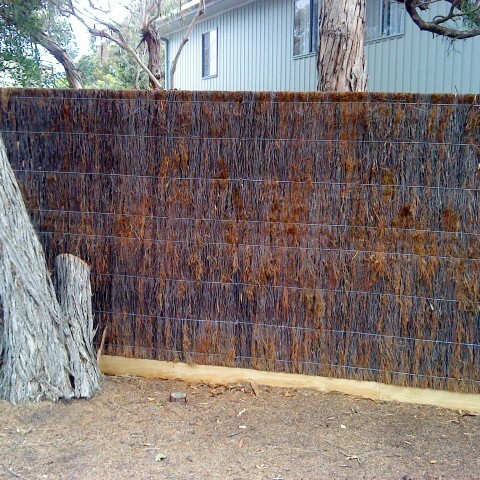 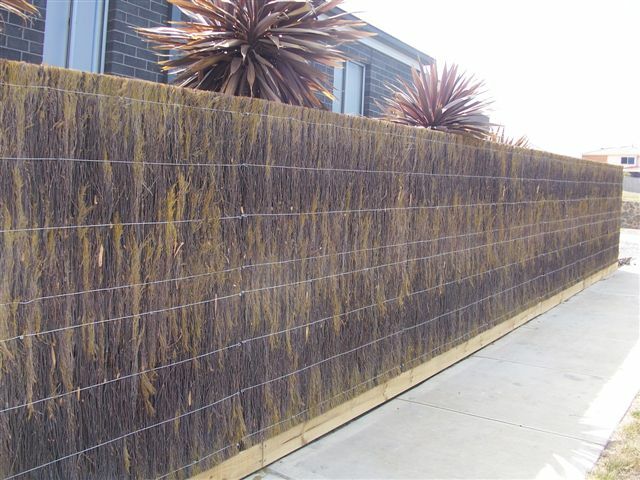 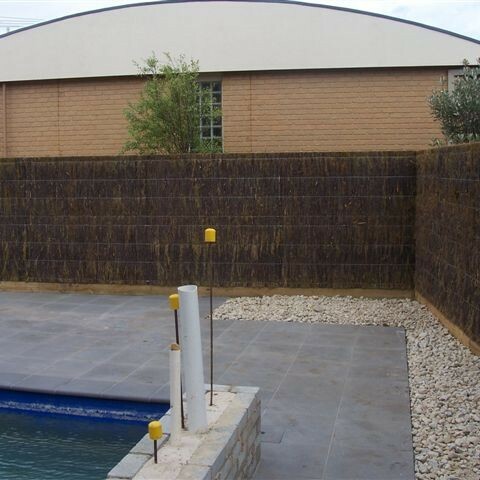 As brush fences are made out of natural fibres they blend well into any environment, including rural landscapes, and are great for poolside enclosures. 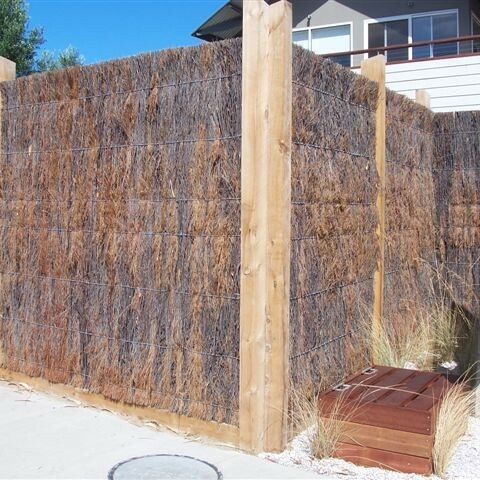 Each fence is constructed over a timber frame and can be finished with a roll top brush capping, ensuring the longest maintenance-free life. 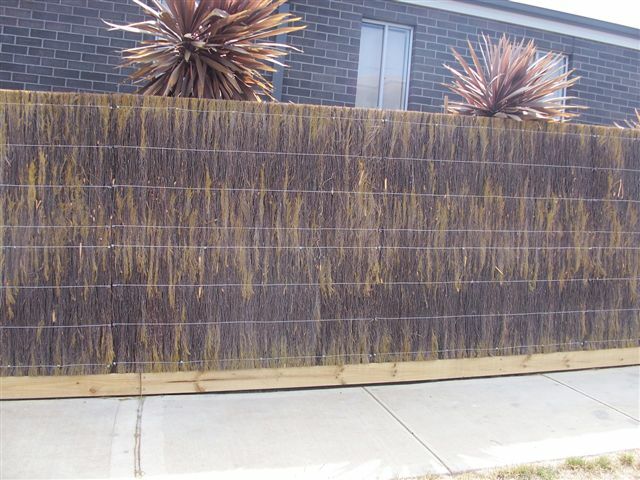 Belmont Fencing’s brush fences can be used for fences, feature walls and screens, made to various sizes to suit your application, and can be fixed to most surfaces.Whether your property is flat, sloping or undulating, we have the brush fencing design to suit your needs and complement your home and yard. 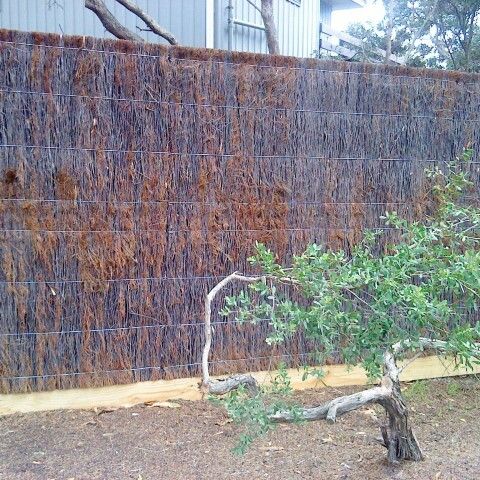 Take a look at our brush products for more examples and style variations. 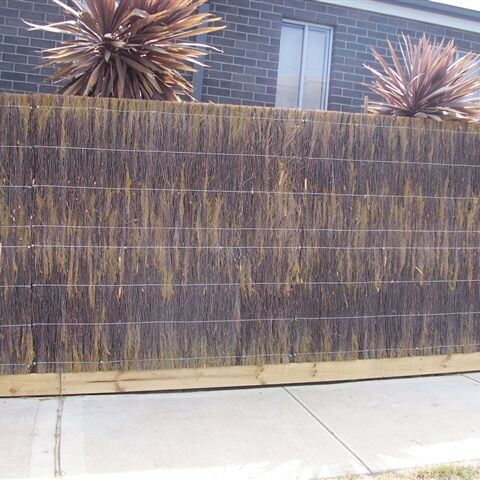 If brush fencing doesn’t quite suit your home or property, take a look at our other fencing solutions: heritage fencing (emu wire fencing), picket fencing, paling fencing, pool fencing (glass fencing and aluminium fencing), screen fencing, gates and a huge range of fencing products . 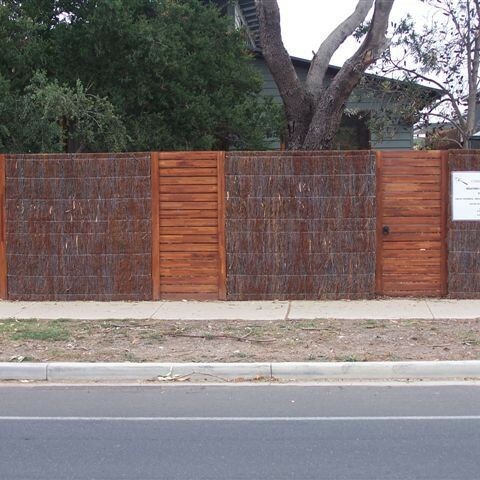 While based in Belmont in and provide your fencing needs in Geelong and the Surfcoast. 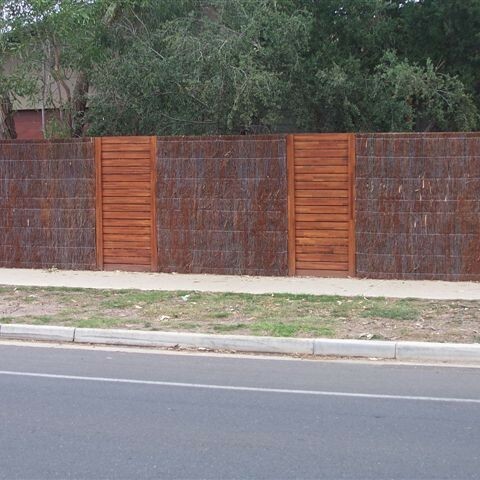 For a free measure and quote complete our online fencing quote form or phone us on 03 5243 0281.